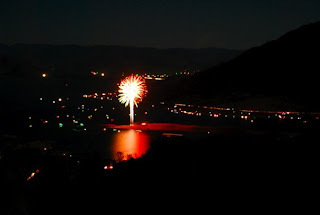 For those of you who missed the Fourth of July fireworks show this last weekend, here are a few shots taken by Mike Spradlin, one of our most senior whitewater rafting guides and local to the Kern Valley. 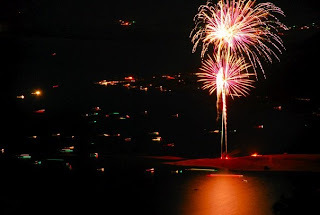 They shot the fireworks over the lake, which made for some great lighting effects! 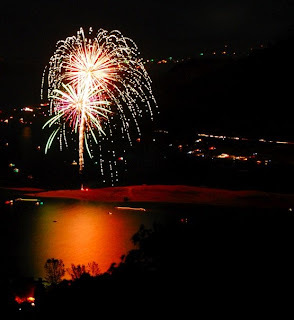 Of course, we tend to think that the natural star and moon show above our Lower Kern River camp is a great show as well – so if you missed out on the fireworks you’ve still got something to look forward to. The night sky is incredible when you escape from the lights of the city and you will see more stars than you ever dreamed existed.